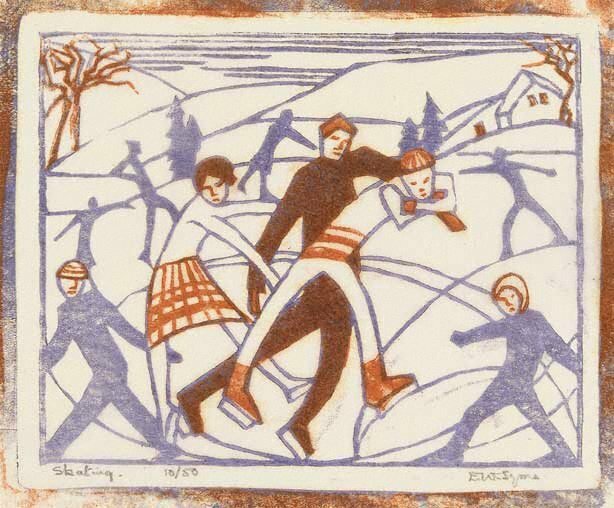 "Here was something new and different, lino-cut no longer regarded as a base form of woodcut, but evolved into a distinct branch of 20th century Art. I had seen nothing more vital and essentially 'modern' in the best sense of the word than the reproductions shown …"
Signed l.r. corner, pencil "E.W. Syme". Not dated.